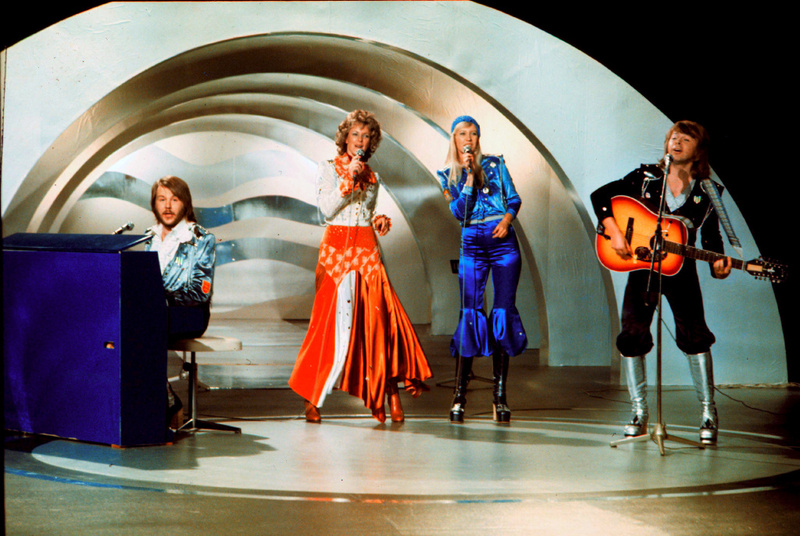 Swedish pop group ABBA performs during the the Eurovision Song Contest 1974 on Feb. 9, 1974 in Brighton with their song Waterloo. Abba won the Eurovision Song Contest in England with "Waterloo," this was the beginning of the greatest career in Swedish pop music history. Mamma Mia! The members of ABBA announced Friday that they have recorded new material for the first time in 35 years.